Talk about starting at the top! And here I thought you were going to lead with Syd Field. Is it possible he doesn't like a happy ending because he's talking about Tragedy? Yeah, but he specifically describes why happy endings are inherently unacceptable and unsatisfying. Buried within two of those bits of questionable advice are some helpful nuggets of goodness. I'd say the hero being royalty relates both to the "why him/why her/why should we care" question and to the overall stakes of the story -- concerns that drive development and audience interest to this day. 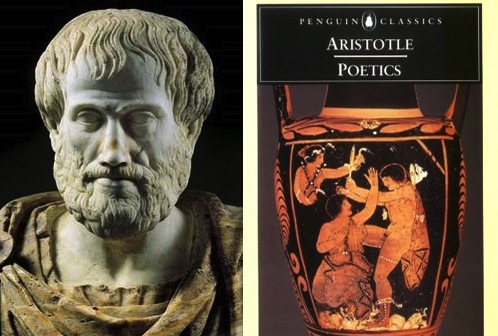 Aristotle probably simply couldn't imagine how a story-worthy event -- with adequate stakes and a relatable hero -- could happen to an everyday person. Then there's the classical unities of time, place and action -- the story about one problem that unfolds in one location in one day. This often gets knocked as old-hat irrelevance at worst, stage-bound drama at best. But, um, contained thrillers anyone? Not to mention geniuses like Tarkovsky who came around to this idea too (STALKER, THE SACRIFICE). Sure, it isn't a hard and fast rule, but it is a powerful tool for ratcheting up tension and it speaks to the never-ending desire of story development folks for some kind of "ticking clock" (to bind time to action) even if the story takes place in different locations and over days or weeks. 1. I've said before that the hero needs to have decision-making authority. In Aristotle's time, only the royals had that. 2. It's not like he wanted to exalt their royal status. He felt like heroes had to topple mightily and therefore you should start with an aristocrat, simply because they'd have the furthest to fall. 3. The ending should be ironic. If bad things happening to good people is ironic, then bad things happening to the very best people is even more ironic. When you put it that way it makes me sad that Aristotle never got to see BREAKING BAD. The Poetics is descriptive rather than prescriptive. 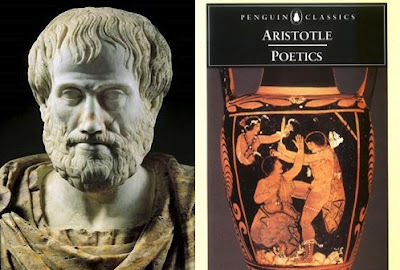 Aristotle examines the successful dramas of his day to see what they have in common. It is not Aristotle's fault if all the protagonists are royal. Also, the dramatists worked only with stories already known to the audience. When Tiresias tells Oedipus "You, you yourself, are the killer whom you seek," the audience already knows that, but they are purged of pity and fear by seeing the story acted out. Hmm, I gotta disagree, unless our modern translations are changing his tone. He's very didactic: “It should have for its subject a single action” etc. He's saying how he thinks things should be, not how they are. In fact, he frequently complains about all the plays he's seen that disobey his ideal rules.